Woodgate Nursery’s Garden Show was a success with a great turnout over the weekend, raising £1490 for the Liz Jones Memorial Trust and Dravet Syndrome Charity. Inspired by this year’s RHS Chelsea Flower Show, the Woodgate Nursery Garden Show at Aylsham showed off local companies’ gardening skills, with visitors voting for their favourite garden design. 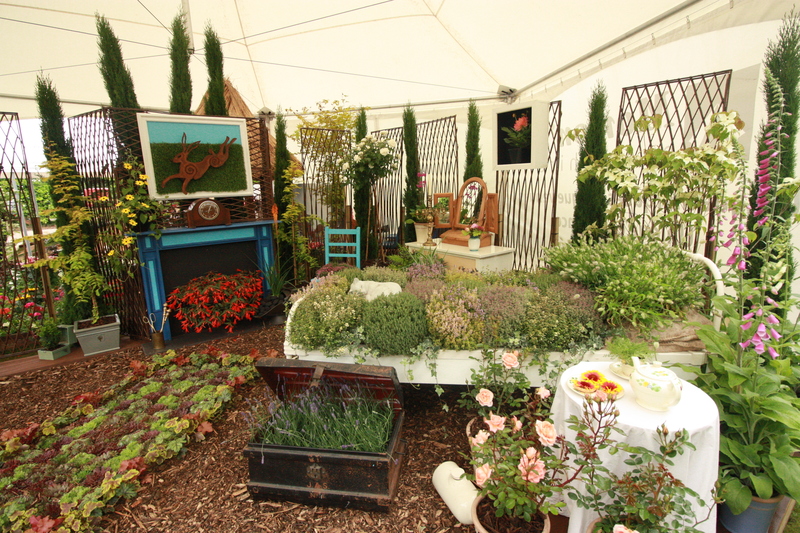 This year’s winner was Thyme For Bed featuring an outdoor room which was designed by the Woodgate team. A close second went to IFC Landscapes, featuring a paved design, box hedging and a willow fence. This year’s show was packed with inspiration for the garden, including for budding young gardeners who enjoyed a fun treasure hunt and for the grown ups a raffle to win a wheelbarrow with more thabn £300 worth of garden goodies (including the barrow). This entry was posted in Aylsham, Home Page and tagged Aylsham, Broadland, Charity, gardening on June 22, 2016 by Gay Webster.